I remember very well the Pongal Test in 1975 at Chepauk, Eknath Solkar and Farokh Engineer opened against the pace of Andy Roberts, Julian, Holder, Boyce ~ in the earlier test at Calcutta, Engineer was partnered by Sudhir Naik – and I was told by my knowledgeable friend that the best opener ever was nursing an injury and could not play – (Sunil Gavaskar) – have since seen many many openers – Chetan Chouhan, Anshuan Gaikwad, Krishnamachari Srikkanth, Sidhu, Virender SEhwag, Gautam Gambhir, Akash Chopra, Sadagopan Ramesh .. .. .. and this morning there was a poll asking who the best Indian opener is : Murali Vijay, KL Rahul or Shikhar Dhawan ?? AT Nagpur, Indians are on a strong position thanks to the centuries by Vijay and Pujara. Murali Vijay - Cheteshwar Pujara pair has been on a roll. In recent 11 partnerships, they have amassed 1163 runs at an average of 105.72. Their partnerships read: 112, 133, 27, 23, 209, 47, 16, 107, 178, 102, and 209. Their partnership on Saturday is their fourth century stand in a row, and their fifth in their last seven innings. There is another landmark too – impressive one at that. The stylish looking, fluent batting, 33-year-old Vijay notched a 221-ball 128 on day 2, which includeds 11 boundaries and a big six. 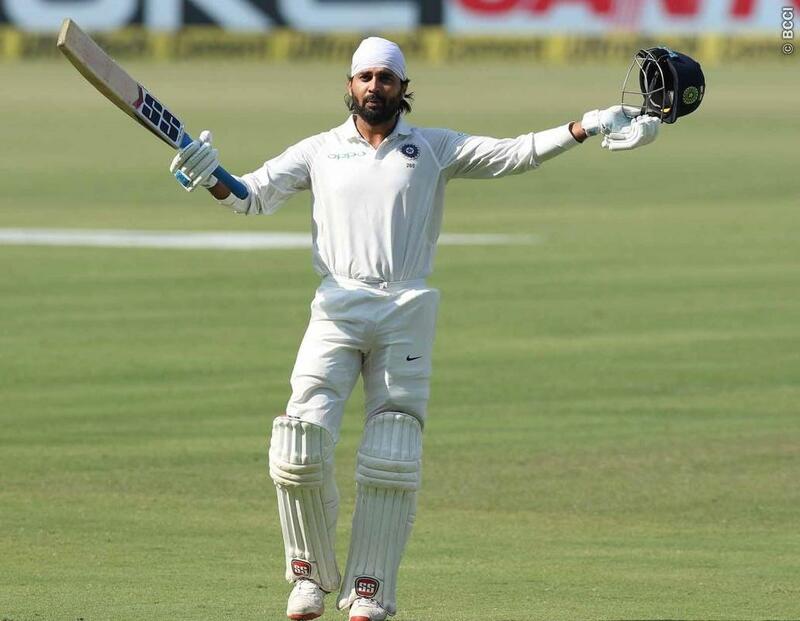 Vijay entered into record books becoming only the 3rd Indian batsman to score 10 or more centuries – after Sunil Gavaskar (34); Virender Sehwag (23) – followed by Gambhir (9) and Sidhu (8). The Battle of Kohima was the turning point of the Japanese offensive into India in 1944 during the Second World War. The battle is often referred to as the "Stalingrad of the East". The place of occurrence, Nagaland in North East India borders Assom, Arunachal Pradesh, Manipur and Burma. The state is inhabited by 16 tribes, each tribe is unique in character with its own distinct customs, language and dress. The state has experienced insurgency as well as inter-ethnic conflict since the 1950s. This no post on geography but something on its poor performance in the game of Cricket. To be fair to them, this was the first time that Nagaland and five other north-eastern states of India - Arunachal Pradesh, Manipur, Meghalaya, Mizoram and Sikkim - were cleared to participate in the BCCI's Under-19 women's tournament along with Bihar, through the addition of Under-19 North-East Championship, specifically for these states. Nagaland made it to the Super League stage after finishing second in the North-East Championship, behind Bihar. Most players in the Nagaland team are 15- and 16-year-olds. "The Nagaland Cricket Association was struggling to put a team together because we didn't have any academy for girls," its Coach is quoted as saying. "We had to put out advertisements in the local newspapers, which is when the girls started coming to the academy. All of the nine students enrolled in the academy are part of this squad." "We had to start from scratch because all the girls are completely raw. In their first training session none of the girls knew what skills they specialize in. Yes, there have are a lot of loopholes to plug, but one needs to understand these girls have only started playing cricket." Low scores and odd bowling stats have been a frequent occurrence in the tournament, including during the regional qualifying stages. In the North-Eastern Championship, a match Nagaland featured in, against Manipur, had 136 wides. Bihar, the other side to qualify for the Super League, were skittled for 21 runs by Bengal in a match in Jamshedpur on Friday. Before Friday, the lowest total in the tournament was 17 by Meghalaya, incidentally, against Nagaland. But this one was very different.. The BCCI’s U-19 women’s one-day super league match between Kerala and Nagaland on Friday ended in farce as the Northeastern state was shot out for just two runs with as many nine batters getting out for duck here. Electing to bat after winning the toss, Nagaland were all out for just 2 runs from 17 overs in an astonishing display. Nine batters were out for duck while opener Menka scored one run (off 18 balls) from the only scoring shot of the innings in the Group B match at JKC college ground here. Priyanka remained not out on nought after facing three deliveries. Th Kerala notched up the win -- to pocket four points -- added to the farcical nature of the match. Nagaland’s Deepika Kaintura bowled a wide and from the other legitimate ball, Kerala opener Ansu S Raju scored a boundary to win the match by 10 wickets. Kerala reached 5 for no loss in 0.1 overs while chasing 3 for a win with Ansu S Raju not out on 4. The Nagaland team provided on the BCCI website had only their first names except for two. Most of their names appeared to be of players hailing from outside the state. As per the Lodha Committee recommendations, the BCCI will now have to include the Northeastern states in their accredited tournaments. Grace Mugabe falls into disgrace !! tipsy monkeys ~ petrol and coffee, the villain ! !